Whether in paints and varnishes or as a UV blocker in sunscreen, nano-particles are omnipresent. Their impact on health, however, is largely unexplored. Now, researchers have found that nanoparticles affect heart function. Artificial nanoparticles are in medicine and industry increasingly in demand. Millions of tons of materials such as titanium dioxide are used annually in order to achieve, for instance, effects of purity and brillance with colours. In medicine, nanoparticles are used as vehicles to deliver active ingredients to intended destinations in the body, such as to a tumor. The small size of the particles – only 14 nanometer in diameter – and large surface area make the materials attractive and versatile for use. It is already acknowledged that the smallest fragments of particulate matter damage the vessels and the cardiovascular system, even at levels that are below accepted thresholds. Yet nanoparticles affect the heart as well, one study by Professor Reinhard Niessner and colleagues at the Technical University and the Helmholtz Center in Munich has now revealed. By using a model – the Langendorff heart (a beating heart isolated from a rodent, flushed with a nutrient solution instead of blood) – they were able for the first time to show responses of the heart to various nanoparticles. Flame soot, spark-generated carbon dioxide, titanium dioxide and silicon dioxide particles made the heart rate increase by up to 15 percent when they flow through the heart. 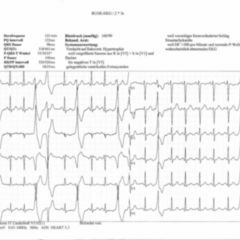 Cardiac arrhythmias, demonstrated by electrocardiography (ECG), did not disappear even some time after exposure to the nanoparticles. The cardiac responses were dependent both on the material as well as on the dose of nanoparticles. The researchers are onto the causes of the reactions. An advanced experimental set-up allowed the analysis of substances or neurotransmitters which the heart releases into the blood circulation after the return flow of the flushing medium, ie. 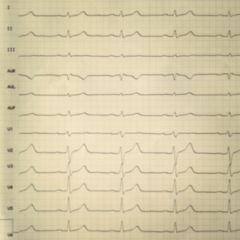 after its passage through the heart. Underlying reactions were reconstructed in this way. The researchers suggest that the neurotransmitter noradrenaline is responsible for the effect on the heart. This nerve transmitter is indeed normally released if an increased demand of the heart is required or during stress. Since noradrenaline acts in the central nervous system too, the increased secretion of it upon contact of the heart with nanoparticles suggests that the substances can potentially affect not only the heart. The uncertain effects on humans and the environment, unfortunately, do not hinder the promotion of nanotechnology and the annual increase in the use of these substances about which too little is known. In Germany, The Federal Environmental Office (Bundesumweltamt) also states that little is known about the risks and sees therein its own task in clarifying this. Together with the Federal Institute for Risk Assessment (Bundesinstitut für Risikobewertung), the office last year assessed possible cancer risk from nanoparticles. Accordingly, there is evidence from animal studies, especially on carcinogenic effects, of the individual substances such as titanium dioxide when inhaled, but the data is not yet sufficient for a risk assessment to be carried out. About the release of nanoparticles from products, and thus to consequent exposure to it, there are also no reliable assertions that can be made. Similarly, there is a lack of reliable measurement techniques. 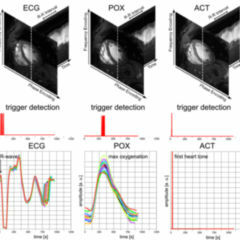 In this respect, the investigations with the heart model are a major advance because they can now allow the impact of nanoparticles on a whole, isolated, functioning organ to be studied, without being affected by other organ systems, the researchers say. 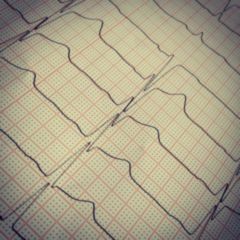 To that extent, the heart as an organ is particularly well suited because it has its own pulse generator and can operate independently from the body for several hours. 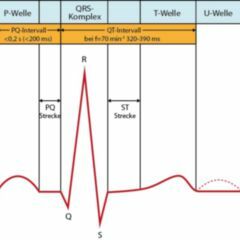 Heart rate and ECG reliably indicate changes in heart function. Why some nanoparticles affect the heart and others do not should be the subject of further investigations. Production process could perhaps play a significant role. “Despite the uncertainties, the current findings on the carcinogenic potential of nanomaterials should be taken seriously, and measures of exposure minimisation should proceed hand-in-hand with comprehensive and meaningful toxicological methods-development and testing of nano-structured materials, with due regard to all the relevant exposure pathways”, says the policy brief of the German Federal Institute for Risk Assessment (BfR) and the Federal Environment Office.